Throughout the set, Ms. Dinnerstein and ACME will join in conversation with WQXR host David Garland. The entire evening will air live on 105.9 FM and stream live at www.wqxr.org. This special evening is the second WQXR live event in The Jerome L. Greene Performance Space, WNYC’s new multiplatform, Lower Manhattan destination for artists and audiences. The WQXR Live series offers a rare opportunity to get up close and personal with extraordinary, game-changing artists in an intimate, 110-seat venue, with the capacity for radio and webstreaming. The first WQXR live event in The Greene Space featured Sting and Trudie Styler, with WQXR host Elliott Forrest. In addition, Q2, WQXR’s contemporary classical music stream, presented David Lang’s American premiere of the choral version of Little Match Girl Passion in The Greene Space. About Simone Dinnerstein: Brooklyn-based pianist Simone Dinnerstein gained an international following because of the remarkable success of her recording of the Goldberg Variations, released on Telarc in August 2007. The disc earned the No. 1 spot on the Billboard Classical Chart during its first week of sales and appeared on many “Best of 2007” lists including those of The New York Times, The Los Angeles Times, and The New Yorker. In August 2008, Ms. Dinnerstein released her second CD with Telarc, a live recording of her recital debut at the Berlin Philharmonie. Of the disc, which also ranked No. 1 on the Billboard Chart during its first week of sales, Gramophone reported, “this second CD of a Berlin recital provides ample evidence of gifts above and beyond the ordinary.” Ms. Dinnerstein’s latest recording, the complete works by Beethoven for piano and cello with cellist Zuill Bailey, received the Classical Recording Foundation Award and was released by Telarc in 2009. Highlights of her 2009-2010 season include performances with the Tokyo Symphony, Baltimore Symphony, Atlanta Symphony, and the Minnesota Orchestra; and her debut at the Vienna Konzerthaus. Recently, she made her debut with the New York Philharmonic in July performing Liszt’s Piano Concerto No. 2, returned to the Aspen Festival for her third recital, performed the Goldberg Variations on Lincoln Center’s Mostly Mozart Festival, and the complete Beethoven Sonatas for piano and cello at the Ravinia Festival with Zuill Bailey. Ms. Dinnerstein’s other recent performances include her recital debut at The Kennedy Center for the Performing Arts, her third sold-out performance at The Metropolitan Museum of Art, recitals in New York at Town Hall and on the Lincoln Center Great Performers series, as well as in Paris, London, Copenhagen, Vilnius, Bremen, Rome, and Lisbon and at the Stuttgart Bach Festival; plus debut performances with the Dresden Philharmonic, Czech Philharmonic, New Jersey Symphony Orchestra, the Orchestra of St. Luke’s, and Kristjan Järvi’s Absolute Ensemble. 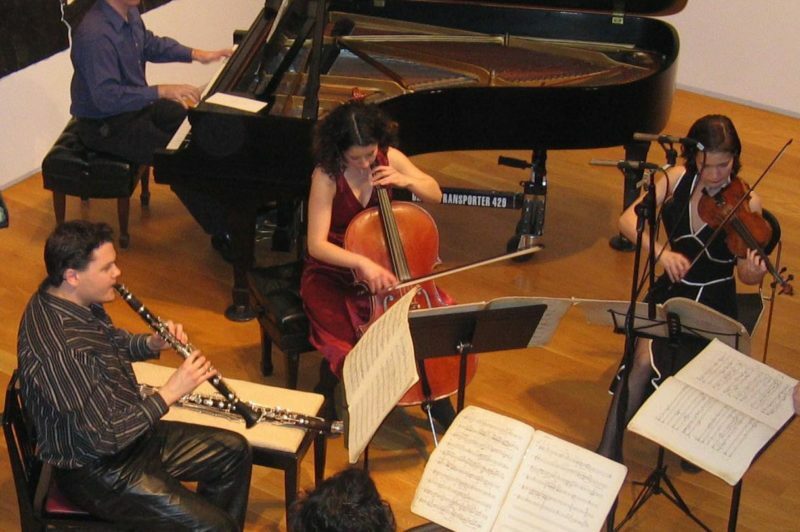 Since 1996 Ms. Dinnerstein has played concerts throughout the United States for the Piatigorsky Foundation, an organization dedicated to bringing classical music to non-traditional venues. Among the places she has played are nursing homes, schools and community centers. Most notably, Ms. Dinnerstein gave the first classical music performance in the Louisiana state prison system when she played at the Avoyelles Correctional Center. She also performed at the Maryland Correctional Institution for Women, in a concert organized by the Baltimore Symphony Orchestra to coincide with her BSO debut. Ms. Dinnerstein is a graduate of The Juilliard School where she was a student of Peter Serkin. She also studied with Solomon Mikowsky at the Manhattan School of Music and in London with Maria Curcio, the distinguished pupil of Artur Schnabel. For two summers, she was a fellow at the Tanglewood Music Center. Ms. Dinnerstein lives in Brooklyn, New York, with her husband and son. She is managed by Tanja Dorn at IMG Artists.